Run, don’t walk, to get your hands on Painted Polish’s newest collection! 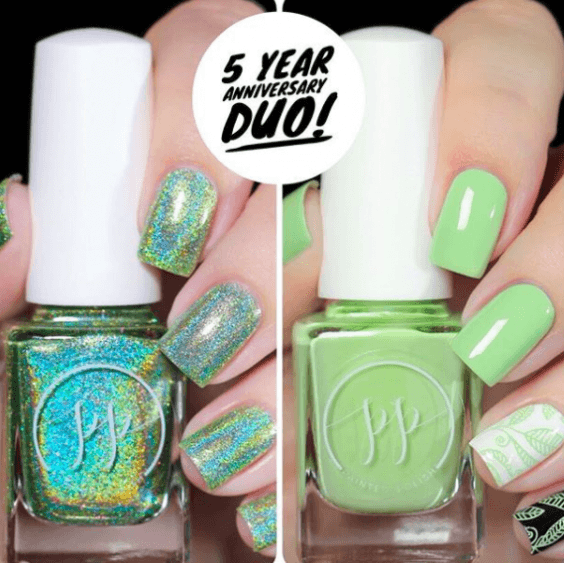 ‘5-Year Anniversary Duo’ is a collection featuring two shades of pale peridot in two different finishes: Here’s to 5 Years and Stamped in Honeydew. Painted Polish recently relocated to San Diego and we are so excited to have them right down the road! The cruelty-free collection offers shades ranging from glitters galore to opaque one-coat polishes. Here’s to 5 Years features a pale peridot ultra holo with a scattering of silver galaxy glitters. Stamped in Honeydew is a light melon creme that doubles as a stamping polish opaque over black and white. Each bottle is 13.2 ml and contains 2 large steel mixing balls for easy mixing. You can grab the lovely duo for $20 or buy the polishes individually. If green ain’t your thing, then we still got you covered! 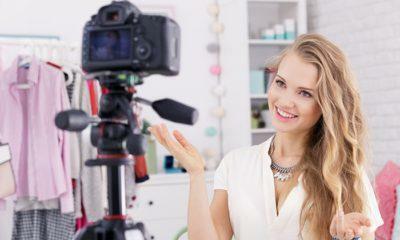 Head to www.paintedpolish.com where you’ll find a huge selection of other stunning colors!